At first glance, Newark, Ohio and the Licking County area may not appear to offer much. However, there’s much more beneath the surface, you just have to look. With nature preserves, museums, antique shops and entertainment such as bowling, theatre performances and unique restaurants, there’s something that everyone can enjoy. The Ohio State University at Newark and Central Ohio Technical College are right in the middle of it all. 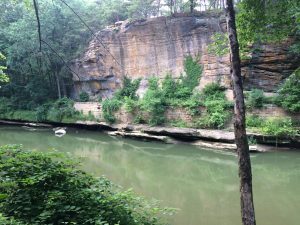 If you’re feeling like an outdoor adventure, check out Blackhand Gorge. 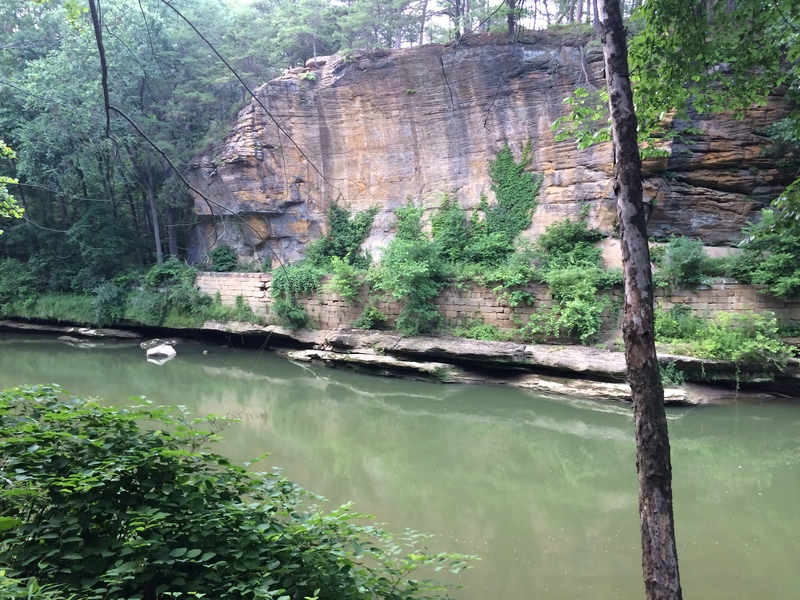 It’s one of Ohio’s State Nature Preserves offering beautiful trails and scenery, and it’s the perfect place for an afternoon of friends and fun or peace and relaxation. Take in some of the outdoor history at the Newark Earthworks sites. Visit the Great Circle Earthworks, the Octagon Earthworks or the Wright Earthworks to learn more about the Hopewell tribe that called this area home approximately 2,000 years ago. Also, explore Dawes Arboretum and participate in the nature-related events they have to offer. Don’t forget about the number of golf courses, including miniature, that can be found around campus. If you prefer the indoors, visit some of the museums, local shops and restaurants. The Works has local history, hands-on activities and classes in glassblowing. Around downtown Newark’s courthouse square, you can find local shops including antique, candy, boutiques and the National Heisey Glass Museum. Stop for lunch at one of the unique restaurants like Barrel & Boar, The Draft House, or Park Place Bistro. Got a sweet tooth? Try Goumas Candyland or Sweet “23” for hand dipped candies, cupcakes, cream puffs and more. In the winter, the courthouse square lights up in a festive display of lights and decorations complete with a horse drawn carriage. Downtown Newark is also the home of the Canal Market District, the site of farmer’s markets and arts and craft markets that are open from May through October. Make sure that you try some of the delicious ice cream Licking County has to offer after strolling through the markets. Four states have Whit’s Frozen Custard, but Granville, Ohio is home to the original restaurant. The Dairy Isle has soft serve ice cream and serves burgers, fries and corn dogs. Ye Olde Mill in Utica, Ohio is only a 20-minute drive from campus and is home to the production of Velvet Ice Cream. See how it’s made, take a nature walk, make a wish in the historic mill and have dessert in the Wheel Room Restaurant. Fun nights with friends don’t have to get repetitive. Change things up and go to the Lou & Gib Reese Ice Arena. Skate for fun during a public skate event or attend a figure skating or hockey session. Get a group together for a game of broomball and then head to Rooster’s with a $2 off coupon to grab a bite to eat. Park Lanes Bowling Center offers weekly events and specials such as glow bowling, holiday celebrations and family and friends events. Both the Ice Arena and Park Lanes have teamed up with Student Life and occasionally offer free skating and bowling to students and two guests, so keep an eye on student activity events. If you’re looking for a watery escape, try the Cherry Valley Lodge’s CoCo Key Water Resort. At a constant 84 degrees and measuring 50,000-square-feet, this aquatic playground is great for a day off with friends. Check for coupons before you head out and show them you liked their Facebook page for $3 off ticket admission. Theatre enthusiasts will applaud the variety of events the Newark area has to offer. The historic Midland Theatre has performances year round with musical guests, comedians and special movie screenings. Enjoy this beautiful theatre that has made many improvements over the years. The Weathervane Playhouse does live performances of musicals and plays. It began as a barn, but is now an enclosed building with a lobby and main stage. If you’re interested in performing, they hold scheduled auditions for their summer season every winter. Thirty One West is a new music venue that hosts bands and performers from surrounding states, often for free or low-cost ticket prices. Their goal is to bring great art and music to Newark with bands, singers, artists and numerous other events. Giving back is its own kind of fun and volunteer opportunities can be found throughout Newark and Licking County. The American Red Cross hosts multiple blood drives on campus and offers first aid and classes. The United Way of Licking County, Licking County Humane Society, The Food Pantry Network of Licking County and many more are always in need of a helping hand. Also, the Alexandria, Granville and Newark public libraries offer programs year round to either participate in or volunteer for such as pumpkin carving, gingerbread house making, movies, craft and book clubs and much more. If you’re interested in interning or volunteering, do some research and pursue options on campus to get college credit for an internship. Newark and Licking County has more to offer than just corn fields and construction. You just have to look beneath the surface and get a little adventurous. It doesn’t take much to find something for everyone, whether you need some fresh air, time with friends, or a new place for lunch, Newark and Licking County really do have it all. Emily Hankinson is a senior at Ohio State Newark majoring in English and minoring in both Spanish and professional writing. She works on campus in the Writer’s Studio and off campus in a local library. She plans to pursue a master’s degree in library and information sciences after graduating in May. In her free time, she likes to read young adult novels; travel; and spend time with her friends, family and two cats: Tigger and Sadie. Another theater venue in Newark is Licking County Players. Started in 1966 in a church basement, this community theater has won many awards over the years, and is one of the longest running community theaters in the state. The Cherry Valley Lodge’s CoCo Key Water Resort has closed.